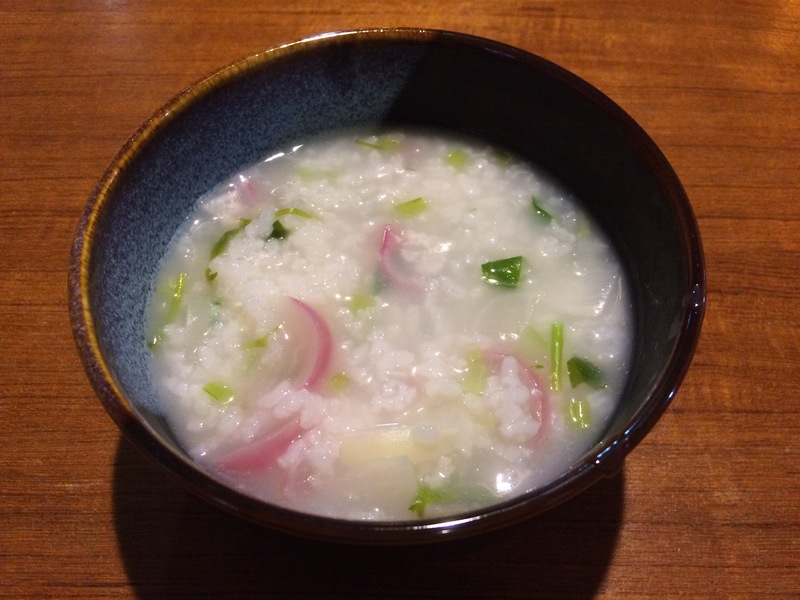 I would like to start this year’s blogging with the topic of nanakusa-gayu we eat on January 7. This is to pray for good health as well as to sooth our stomach by eating warm porridge after we eat a lot during the new year’s vacation. As I introduced two years ago, the seven herbs are: water dropwort, shepherd’s purse, cudweed, chickweed, nipplewort, turnip and radish. They are called “haru-no-nanakusa (7 spring herbs)”. 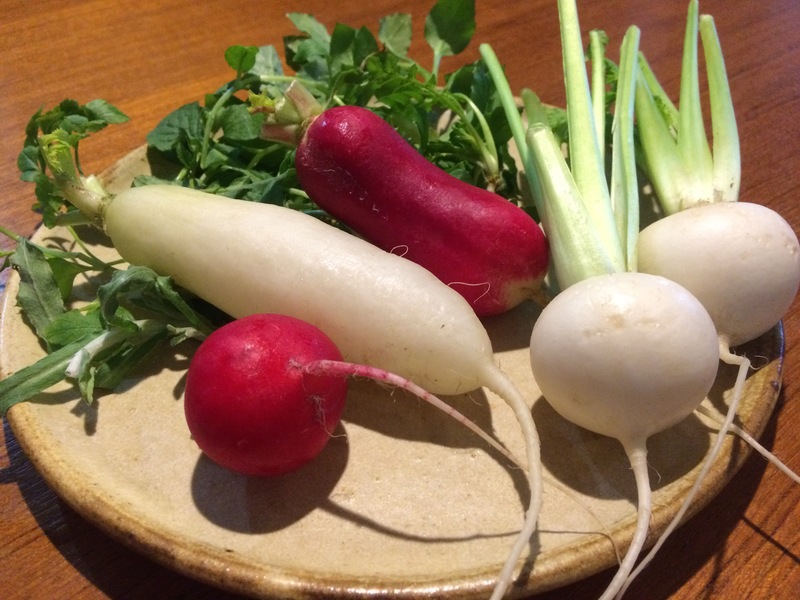 This year, I got the assortment including red turnip and radish, which made the porridge look more colorful and fun. Cook rice with five times the amount of water to rice. Boil and cut the herbs to add into the porridge. Serve with salt or soy sauce. Sakura-mochi – it’s something that I wanted to make before the sakura season ends. And finally, I did it last weekend! It’s literally a traditional Japanese dessert for the sakura season, using a pickled sakura leave which is edible. There are two kinds of sakura-mochi – one is Kansai (Western Japanese) style and the other is Kanto (Eastern Japanese) style. I made the Kanto one as it’s actually much easier than that of Kansai. Ingredients: 200g anko (sweet red bean paste – please see this article for the recipe), 10 pickled sakura leaves, 10 pickled sakura blossoms (optional), 100g wheat flour (cake flour), 30g shiratamako (glutinous rice flour), 50g sugar, 200ml water. Soak pickled sakura leaves and blossoms in water to freshen. Then wipe off the moisture. Add wheat flour, shiratamako, sugar and water in a bowl and mix well. Heat a lightly oiled flying pan over low heat, pour 2 tbsp batter and spread it so it will become oval-shaped. Cook until heated and turn over, just like a crepe. Wrap anko with mochi and a sakura leave. Top with a sakura blossom if you like. Yesterday, while walking around Komagome in Tokyo, I was thinking of visiting Rikugi-en, a famous garden for its huge weeping cherry. I used to live around there and felt a kind of nostalgic. But it was so crowded, so I changed my mind. Instead, I visited the temple nearby called “Kichijo-ji” which was really calm. It’s fun to find some quiet places like this where only locals visit. By the way, Komagome is worth visiting for those who love sakura. Someiyoshino, the most representative sakura tree, originallly comes from this place – In the past, the place around Komagome was called “Somei village” where many gardeners lived. There is such a cute mailbox in front of North Exit, JR Komagome Station. Yesterday, I was lucky enough to pass by “Gyokuzo-in” a temple of Shingon Buddhism in Urawa, which is famous for a 100 year-old weeping cherry (shidare-zakura). It was quite a surprize to find this in the middle of the city. Here’s the updated sakura blooming days in Japan according to tenki.jp as of March 9. It looks sakura will bloom earlier than the last forecast. This is angyo-kanzakura I found in Kawaguchi, Saitama today. It blooms earlier than the most popular sakura, someiyoshino. It was rainy, but the blossoms were beautiful! 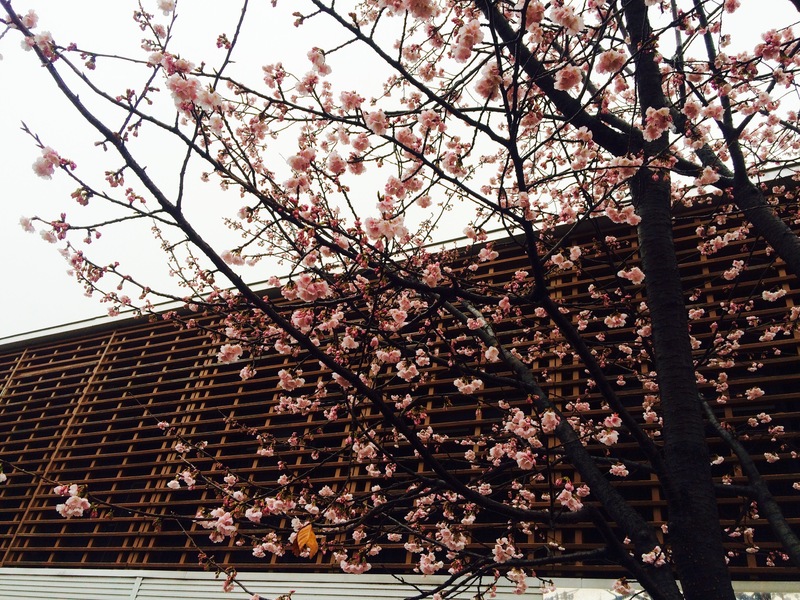 More Sakura… what kinds are blooming in Tokyo now? I wrote in the yesterday’s post about forecasted sakura blooming days that some kinds of sakura bloom later than that popular someiyoshino, but there are some kinds blooming before someiyoshino as well. I took these picutures yesterday (March 3) at Shinjuku Gyoen after an appointment. It’s one of the most recommended places to enjoy a variety of sakura in Tokyo – there are about 65 kinds of sakura. Here are some kinds of sakura you can see right now! 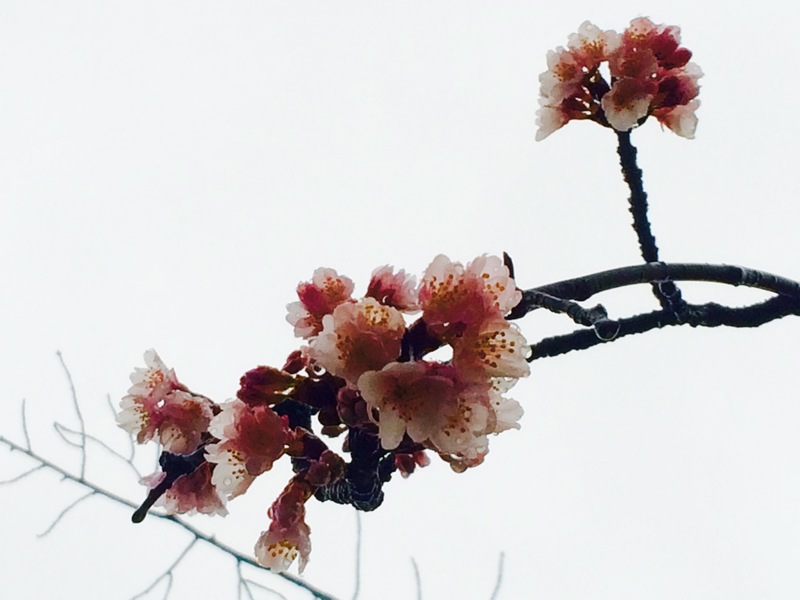 And now, ume blossoms are in full bloom so don’t miss it!